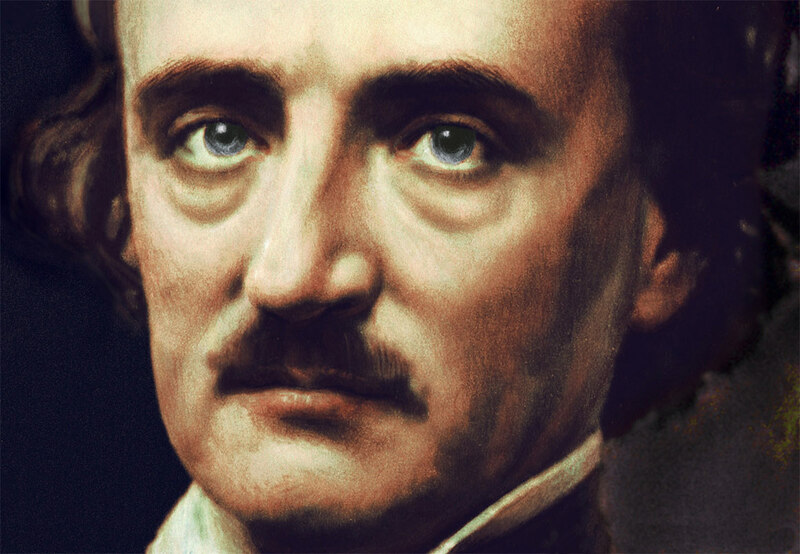 Home / Cosmotheism / Edgar Allan Poe: Cosmotheist? ‘Now the very definition of Attraction implies particularity — the existence of parts, particles, or atoms; for we define it as the tendency of “each atom &c. to every other atom,” &c. according to a certain law. Of course where there are no parts — where there is absolute Unity — where the tendency to oneness is satisfied — there can be no Attraction: — this has been fully shown, and all Philosophy admits it. When, on fulfillment of its purposes, then, Matter shall have returned into its original condition of One — a condition which presupposes the expulsion of the separative ether, whose province and whose capacity are limited to keeping the atoms apart until that great day when, this ether being no longer needed, the overwhelming pressure of the finally collective Attraction shall at length just sufficiently predominate… and expel it: — when, I say, Matter, finally, expelling the Ether, shall have returned into absolute Unity, — it will then (to speak paradoxically for the moment) be Matter without Attraction and without Repulsion — in other words, Matter without Matter — in other words, again, Matter no more. In sinking into Unity, it will sink at once into that Nothingness which, to all Finite Perception, Unity must be — into that Material Nihility from which alone we can conceive it to have been evoked — to have been created by the Volition of God. ‘I repeat then — Let us endeavor to comprehend that the final globe of globes will instantaneously disappear, and that God will remain all in all. ‘But are we here to pause? Not so. On the Universal agglomeration and dissolution, we can readily conceive that a new and perhaps totally different series of conditions may ensue — another creation and irradiation, returning into itself — another action and reaction of the Divine Will. Guiding our imaginations by that omniprevalent law of laws, the law of periodicity, are we not, indeed, more than justified in entertaining a belief — let us say, rather, in indulging a hope — that the processes we have here ventured to contemplate will be renewed forever, and forever, and forever; a novel Universe swelling into existence, and then subsiding into nothingness, at every throb of the Heart Divine? ‘But with the very idea of God, omnipotent, omniscient, we entertain, also, the idea of the infallibility of his laws. With Him there being neither Past nor Future — with Him all being Now — do we not insult him in supposing his laws so contrived as not to provide for every possible contingency? — or, rather, what idea can we have of any possible contingency, except that it is at once a result and a manifestation of his laws? He who, divesting himself of prejudice, shall have the rare courage to think absolutely for himself, cannot fail to arrive, in the end, at the condensation of laws into Law — cannot fail of reaching the conclusion that each law of Nature is dependent at all points upon all other laws, and that all are but consequences of one primary exercise of the Divine Volition. Such is the principle of the Cosmogony which, with all necessary deference, I here venture to suggest and to maintain. And that I would call an early and distinct intimation of Cosmotheism.